For the uninitiated, German Shepherd Dogs are also called the Alsatian in England and other parts of Europe. According to the American Kennel Club, the German Shepherd is the 2nd most popular breed of dog in the world. We often see German Shepherds in cop movies and cop shows. German Shepherds are used in law enforcement and as cadaver dogs, which means they can find dead bodies. They are also used to sniff out drugs, explosive devices and other hazards. These intelligent dogs are very easy to train, which is one of the main reasons that they are commonly used as working dogs. You'll often see this breed assisting police officers, first responders and military personnel, but they also make wonderful service dogs for civilians. German Shepherds are loyal and courageous. They make wonderful house dogs, as they enjoy spending time with their owners and will do their part to protect the home. In fact, these dogs excel at pretty much everything they are trained to do. These large breed dogs can certainly be intimidating when they want to, but they are also very affectionate and are known to be great dogs to have around children. The German Shepherd is a very common dog for families, as they are active and enjoy spending time with their human pack. Although they can do alright in apartment settings, this breed craves space to run and play. They enjoy being active and love getting outdoors for walks, hikes or swimming. If you're considering adopting a German Shepherd, be sure that you have plenty of time to give him the exercise that he needs. You'll also have to make time for regular brushing. The German Shepherd has a thick double coat that requires regular brushing. They also shed a lot. Their iconic look is certainly stunning, but you'll have to be willing to put in the time to upkeep their coat. German Shepherds are large dogs. On average they can range from 22 to 26 inches high at the shoulder. These dogs usually weigh between 75 to 95 pounds. Like most breeds, females are usually smaller than their male counterparts. Typically, German Shepherds live for 10 to 14 years. However, with the right conditions, your German Shepherd could live longer. Make sure to have your dog checked out by your local veterinarian to ensure that he is healthy. Keeping him in optimal shape can add a couple of years to his life while letting him become obese can take years off of it. The less strain that your dog has on his body, the happier and healthier he will be. German Shepherds are strong and stoic dogs. They have a long lean body, which is achieved by lots of exercise. Their muzzle is long and their ears are always alert. Their ears stick straight up and are perpendicular to the ground. German Shepherds come in different colors such as black, brown, and even white. There is also sable, red and black, black and cream, black and silver, black and tan, blue, liver, and gray. White is not recognized as a competition color. Most have the distinguishable markings of a black mask on their face, and many also have a black back. Reputable breeders do not breed German Shepherds with blue, liver and white-colored coats. This breed can be either short-haired, medium-haired or long-haired. Long-haired German Shepherds do not need as much grooming maintenance as the short-haired variety. This breed need a lot of space to roam around. It is not good to keep them locked up in a tiny apartment. They must have a large yard to play in. Because of how strong their legs are, they need to have a fenced in yard that is higher than three-feet tall. German Shepherds enjoy doing anything outdoors, whether it is playing fetch or herding animals. If you do live in an apartment, make sure to take the time to walk your German Shepherd so that he does not get bored and chew on the furniture or be a nuisance by barking all the time. German Shepherds are great for any active individual or family. Where they require so much exercise, they need to have an active family that will be home with them and include them in their day to day activities. These dogs enjoy being around children, as they make excellent playmates. German Shepherds love to herd small animals such as goats, sheep and even cattle. They were used by Shepherds to herd their livestock. This breed has even been known to herd children sometimes. If you have horses, a German Shepherd would love to help round them up. This dog will happily trot next to you while you ride. They can also help you herd cattle or any other large livestock that you may have. German Shepherds make great ranch dogs as well. They can follow you around while you ride. They will follow you while you mend fences, check the livestock and other ranch related activities. These dogs will also protect the livestock from predators. German Shepherds will protect those who they consider family. While they will not attack someone who comes to your house, they will bark to let you know that they see someone who does not belong. If you do not want your German Shepherd to attack your friends or members of your family who do not live with you, he'll need proper training as a pup. German Shepherds are loyal and protective. They will bark at those they do not know but are not usually aggressive. They make good alert dogs. However, if they feel that their family is in trouble, they won’t hesitate to protect them. Only if a German Shepherd is trained to be aggressive through violence, will it attack someone for no reason. These dogs love being with their human family and playing outside with them. German Shepherds need constant stimulation both mental and physical. Take your German Shepherd for a walk. You can take him to the park and play fetch, or throw a Frisbee and watch him catch it in mid-air. German Shepherds are used in law enforcement to sniff out drugs, bombs, and as cadaver dogs. They are featured in many movies as police dogs. German Shepherds make great therapy dogs too. They are used to lead the blind and help those with disabilities. This breed is commonly used as search and rescue dogs. When the World Trade Center buildings fell in 2001, German Shepherds on the search and rescue team were used to find survivors. They were also used to comfort the rescue workers as well as the families of those stuck in the rubble. As cadaver dogs, German Shepherds can find bodies that have been dead for months. Because of their keen sense of smell, they can also be used as drug sniffing dogs. The German Shepherd is also used to find bombs and other accelerants. Over the years many German Shepherds have had their 15 minutes of fame. The first famous dog of this breed was Strongheart, an actor, in 1921. Strongheart was followed a year later by Rin Tin Tin, who was rescued as a pup from a building that was bombed out in France during the first World War. The man who rescued him was Corporal Lee Duncan, who lived in Los Angeles, California. Both of these German Shepherds have a star on the Hollywood Walk of Fame. Germany Shepherds, as their name suggests originate out of Germany. Also, as their name indicates, they were originally shepherding dogs that herd and guarded sheep and other livestock. In 1899, Captain Max von Stephanitz, a former veterinarian student and Calvary captain of Germany officially introduced and recognize the standard breed. These dogs are recognized for their intelligence, how easy they are to train, stamina, endurance, alertness, and disposition. Max von Stephanitz based his criteria on the breed’s characteristics and working ability, instead of the appearance of the dogs, in order to establish a real standardization. Max von Stephanitz took up the cause to promote the characteristics and versatility of this breed to many branches of government service when he was alive. Many of the tasks that the German Shepherd would perform included Red Cross duties, being guardians and guards, tracking, carrying supplies, and courier services. The German Shepherd was brought over from Germany in the early 20th century around 1907. They became popular in America after the emergence of Rin-Tin-Tin and Strongheart in the silent films. This breed of dog became so popular that the American public began to go searching in kennels to find them as pets for the family. During World War II the German Shepherd was used by both the Allies and Axis forces in the war efforts. German Shepherds were used as guard dogs, messengers, to detect mines and many other tasks. Several thousands of dogs were enlisted into the Army for service. After the war, due to the substantial losses of dogs, an effort was made to preserve them and the German Shepherd bloodlines. Quality dogs, which had survived the war, had begun to emerge by 1949 in the dog shows again. These selected postwar dogs took on enhanced appearance qualities, while also retaining the genetics of the bloodlines of active war dogs. Americans started the blending breeding techniques by the 1950’s with the infusion of out-cross bloodlines. Results of this breeding produced eventually with a strong emphasis on increased muscle and bone density, upper leg strength, and higher quarter strength. Plus, the head and cropped ears took on a more pleasing standard appearance which is how it is today. These increased the show qualities of the German Shepard. German Shepherds became a registered breed in 1908 by the American Kennel Club. In 1919, the UK Kennel registered 54 German Shepherds and that number has gone up since then. Criteria for the German Shepherd calls for a dog that is able to reason, is even-tempered, agile, strong and protective of its owner and family and protective of one’s livestock. Ideally, the dogs of this breed should be fearless, direct, and of course, confident. They should come from parents of good temperaments. These dogs will need to be socialized so that they can be familiar with different people, sounds, and smells. German Shepherds are protective, devotional, intelligent and fun loving. It is in their nature to be naturally protective of their home and territory. Your German Shepherd shall always give you an alert when there are intruders or strangers around and about. However, if you accept and welcome someone into your home, your dog will accept them also. This breed can be as aloof and sometimes suspicious as a cat, especially around people they don’t know. But, once they get to know a person they can be as open and loving as other breeds. When your pup is brought up with other pets, he will get along with them very well. German Shepherds are highly intelligent work dogs. They need a job to do. If not, do you know how it can go when they try to find something for themselves to do? They can be destructive, such as chewing on stuff they shouldn’t and other destructive or disruptive behaviors. This is why they should not be left alone for too long by themselves, otherwise they get lonely, bored and frustrated. German Shepherd dogs crave involvement and interactions with the family. Stimulating your pooch both mentally and physically is the only way to provide him with the best quality of life. In general, German Shepherds are healthy. However, they do have health issues and ailments which their breed is prone to develop. Many ailments are a result of the inbreeding and line-breeding that was done a long time ago to create a standardization of the breed in the first place. This can be a problem associated with many of your “pure blood” breeds. But don’t despair, there is enough genetic diversity among the German Shepherds that not all will get these diseases. It is important though to become aware of the health issues when you are considering to get a dog of this breed. If you are considering buying a puppy, one of the things you should look for is finding a good breeder. You need to find one who can show you the health clearances for the parents. These health clearances are in order to prove that a dog has been tested for certain health issues common amongst the breed and they have been cleared of a specific condition. You should expect to see health clearances for German Shepherds from the Orthopedic Foundation for Animals, aka OFA. The OFA checks for hip dysplasia, of which the dog should have a score of fair or better. They also check for elbow dysplasia, hypothyroidism, and von Willebrand's disease. Auburn University checks for thrombopathia, and the Canine Eye Registry Foundation, aka CERF, certify that the dog’s eyes are normal. You can always confirm health clearances by checking with the OFA on their website. Hip dysplasia tops the list of health concerns for this breed. This is an inheritable condition. It is caused when the femur doesn't fit snugly into the pelvic socket of the hip joint. It exists with or without clinical signs. Some dogs can exhibit lameness and pain on either one or both rear legs. What happens as the dog ages is that arthritis develops. The Orthopedic Foundation for Animals or the University of Pennsylvania Hip Improvement Program do x-ray screenings for hip dysplasia. Dogs that have hip dysplasia should not be bred since it can be passed down to the next generation by the parents. You should always ask the breeder for proof that the parents have been tested and are found to be free of hip dysplasia. Elbow Dysplasia is also an inheritable condition which is common to large-breed dogs, not just the German Shepherd. It is thought to be caused by different growth rates of the three bones. These three bones make up the dog's elbow. The different growth rates cause joint laxity in the elbow, which can lead to painful lameness. Your vet may recommend surgery to help correct the elbow dysplasia, or medication in order to help control the dog’s pain. Canine Degenerative Myelopathy is an inheritable progressive genetic disease that affects the spinal cord. It specifically affects the part of the spinal cord which communicates information to the brain regarding the lower half of the dog (their hind legs). Dogs with this genetic disease act as if they do not know where their back legs are located in association with the rest of their body. This disease will progress to the point that the dog cannot walk, and has incontinence. It can be in just a few months or up to three years or more before the dog is completely crippled. This disease is incurable and many times the dog is put to sleep. However, in some rare cases, this condition has been related to a lack of vitamin-12 or vitamin E for the dog. Vitamin supplements might be able to stabilize the condition if this turns out to be the case. Gastric Dilatation-Volvulus, also known as bloat, is a life-threatening condition that affects large, deep-chested dogs like Golden Retrievers and German Shepherds. This happens especially if the dogs are fed one large meal a day, which they eat rapidly. Bloat occurs when the stomach gets distended with gas or air and then it twists. The poor dog is then unable to vomit or belch in order to be able to rid itself of the excess air in his stomach. This then impedes the normal return of blood to the heart. His blood pressure will drop and the dog will go into shock. If you do not get your dog immediate medical attention, he could die. Suspect that your dog has bloat if he has a distended abdomen, is salivating excessively, and/or retching without being able to throw anything up. He also may show signs by being restless, depressed, lethargic, and weak with a rapid heart rate. Exocrine Pancreatic Insufficiency (EPI) is a genetic disease condition of the pancreas. It occurs when cells in the panaceas, which produce specific digestive enzymes, either do not make enough or are destroyed. This results in the dog no longer able to digest and absorb food nutrients in his small intestine. First signs of the condition include gas, loss of appetite, weight loss, and change in the stools. The dog will then become very thin and very hungry. EPI can be diagnosed with a simple blood test. Treatment for EPI is also as simple – pancreatic enzymes are added to the food that the dog eats. Most dogs will recover with proper medication and supervision. There are a variety of allergies that some German Shepherds suffer from. These allergies range from food to contact allergies. Allergy symptoms in dogs can be similar to symptoms in people. If your German Shepherd is scratching, rubbing his face a great deal, or licking at his paws, you should suspect that he has an allergy. Have him checked by your vet to find out for sure, and get recommendations on how to alleviate the symptoms by eliminating the cause of the allergy. Originally, German Shepherds were bred to herd flocks of sheep and other livestock in the harsh climates of the mountainous regions of Germany and the surrounding countries. This breed has a medium length double coat that protects the dog from rain, snow, and other inclement weather. Their coats are also resistant to picking up dirt and burrs. There are some that are shorthaired or longhaired but most common is the medium-haired German Shepherd. Let’s face it, German Shepherds shed, and shed, and shed some more. Just when you think you have all the fur that they will ever shed off, they will shed even more. Mainly it is the soft undercoat that is shed. It thickens up towards winter and sheds off as you approach summer. It is important to invest in a good vacuum cleaner for you to vacuum their hair off your furniture and other belongings. Also, it is a good idea to invest in a good grooming brush, for which to brush your German Shepherd many times a week to help keep the shedding to a minimum. Like their wooly wolf ancestors, these dogs have two types of coats to their fur. The double coat of the German Shepherd consists of a guard coat, which has the longer thicker guard hairs, and the undercoat of softer, more wooly and downy like hairs. It is the guard coat that protects them from the weather and their undercoat that helps with regulating their temperature. Only bathe your German Shepherd if he needs it. On his own, your dog will tend to be fairly clean and odorless. One of the reasons he should not be given a bath too often is that it strips his coat of the natural oils that keep it healthy and looking good. At least once a month, your dog should have his nails trimmed, especially if they are kept mostly inside. This is because if he is not allowed to go out very often, then his nails are not being worn down naturally and the excess nail needs to be cut off. Also, it will cut down on that annoying click, click, click when your German Shepherd walks across tile or linoleum. If nails become too long this can cause them to crack or break. Even worse is having them get caught on something and rip off, which will mean a trip to the vet to get stitches at the very least. With some easy preventative care, you can keep your Fido healthy and happy. Wipe out your pup's ears with a cotton ball that is dampened with a gentle ear cleaner. Do this once a week. It will help prevent problems from developing in the first place. Never go into the ear canal though, as it can cause more problems than you’re trying to fix. Also, your dog’s ears should be checked at least once a week for redness, bad odor, or dirt. Bad odor and redness would be an indication that he may have an infection. If you notice any of these signs, you need to make an appointment with your veterinarian as soon as possible. German Shepherds are chewers, especially when they are pups. Of course, so are most other breeds when they are puppies. This chewing habit can help keep their teeth clean. You can help with that by giving them safe, durable chew toys or bones to gnaw on. As they gnaw on these items your German Shepherd is fighting tartar build up on his teeth. You can also help your dog keep his gums and teeth in shape by brushing his teeth with doggy toothpaste and a soft toothbrush. You can find instructions for this in our article How To Brush A Dog's Teeth: Step-By-Step Instructional Video. It’s very important to start your German Shepherds training off early. A 10-week old pup is the perfect age to start learning right from wrong. Making sure that they are properly socialized and trained can make for a very happy home. German Shephard puppies are full of energy. For this reason, proper and effective German Shepherd obedience training is impossible unless you are also able to get your puppy all of the exercise he needs. If you can do that, however, your German Shepherd will be quite attentive and take to training very quickly. German Shepherd obedience training is generally the same process you would go through with any other type of dog. However, because German Shepherds are so prone to certain negative behaviors, you will need to know what to watch for and how to address these problems when training your dog. Problem behaviors likely to develop in German Shepherds include separation anxiety or aggression. In most cases, proper German Shepherd obedience training will prevent these problem behaviors from ever rising to the surface, but you should make sure you know what to do if your dog begins to exhibit any of them. Be careful not to try to push the limits of the puppy’s attention during training. A very young dog simply cannot pay attention for more than a few minutes at a time. If you try to extend that you’ll simply create a frustrating situation for both you and the puppy. Simply start with short sessions and then gradually lengthen them as time goes by. It is also important to remember that German Shepherd obedience training doesn’t just involve teaching your dog tricks. There are many elements to successful obedience training, and the sensitive nature of German Shepherds makes it very important that you incorporate all of them into your program. Socialization is one big part of successful obedience training for a German Shepherd and it should be started as early as possible. The more often your German Shepherd puppy is exposed to other animals and strange people, the less likely he will be to develop aggressive behaviors later on. Similarly, because the German Shepherd was bred to herd, they get a great deal of enjoyment from physical exertion and problem-solving. Teaching your German Shepherd games or training him to take part in agility competitions can be a great way to both engage his mind and help make sure he gets the exercise he needs. German Shepherds need both physical and mental exercise. They should be kept busy learning, playing, and working. They are also extremely high-energy dogs. German Shepherds require a lot of exercise each day in order to use up all of their excess energy. Everyone knows that puppies have even more energy and even shorter attention spans than most adult dogs. If they are left with pent up energy, you may find that your dog can become destructive and begin naughty behaviors like jumping. Keeping them tired and played out (but not too much) will keep them satisfied and happy to relax when in the home. Healthy nutrition is very important to keeping your German Shepherd lean, trim, and healthy. When they over eat they can become obese, which causes a lot of strain on their joints and organs. This will increase their chances of having hip or elbow dysplasia and other health issues. Keep your German Shepherd to just dog food (the higher the grade the better) and keep the table scraps away. Most dog food manufacturers have specific types of products for different breeds, or at least for a small dog versus big dog. Buy food for large dogs. You’ll also want to watch out for the amount of fillers that are in the food. Go for meats over grains when picking your food. Your German Shepherd should get 2 ½ to 4 cups of food a day, split into 2 meals. Choosing the best food for German Shepherds is crucial, as it will meet your pet’s unique individual nutritional needs. A quick conversation with your vet will teach you about the proper nutritional requirements of this breed and which canine diet may be best for your pet. How are German Shepherds with Children? German Shepherds are great friends with children. They are a large breed and very sturdy, so they’ll be able to handle all the pats, hair pulling, and love that your toddler will give to their best friend. Even though they are gentle in general with children, they are large and can very easily, accidentally bump and knock over your toddler or small child. They may be weary of children that they are not familiar with, so make sure that all new children are properly introduced to your German Shepherd. Although generally safe around other children and adults, you’ll want to make sure that your dog is being calm and safe around the new humans. Their size and bark can be very intimidating and scare some people, especially children. Where To Adopt German Shepherds and German Shepherd Puppies? There are three different ways to acquire your new German Shepherd. You can go through a breeder, an adoption shelter, or through clubs. Looking for a reputable breeder should be of your highest concern when thinking of purchasing your new puppy. Look for someone who is interested in you and your family and how you live is a good start. You’ll want a breeder who is interested in the welfare of their pups and where they are going to be placed. Reputable breeders will also make sure that the adults are well-taken care of, that the pups are well socialized, and that the litters are in a clean and safe area. Your breeder should be open and honest about the different diseases that are genetic in German Shepherds, and they should have several different tests done on the puppies before you get one. These tests should be registered with the Orthopedic Foundation for Animals (OFA); these tests include hip dysplasia and elbow dysplasia. They should also have their eyes tested through the Canine Eye Registry Foundation. You can find many reputable Breeders that are registered with the American Kennel Club. Unfortunately, for many different reasons, German Shepherds cannot always stay in their home. This does not mean that they are bad dogs or even that it’s a problem with the dog. Some could have come into the shelter due to a break down in the home or the passing of a loved one. Many of these dogs are great and just need a new forever home. And let’s face it, you can skip the puppy stage by doing this. 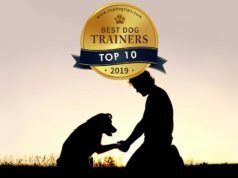 There are many great sites that you can go to and find your new companion, and of course, you should try to find out as much information as you can about these dogs. You can also find a great furry companion at one of your local shelters or rescue organizations. Adopting an older dog means that you’ll also be able to see easier if there are any issues in older dogs. Hip dysplasia and other genetic defaults will be more prominent in an older dog. The German Shepherds Dog Club of America is a great place to gather information on where to find and acquire your new pet. They will also help you with any questions that you may have with your new dog or on any breeders. This is an excellent resource to find reputable breeders or dogs who are in need of help. When acquiring your new puppy you want to first and foremost stay clear of puppy mills. These are places that are just in it for the money and don’t actually care for the well-being of the dogs or where they are going to be placed. Other signs of puppy mills are how the dogs are housed and how many litters are on the premises at any given time. Other sure signs of wrongdoing are when there are no papers available for your new dog (unless getting a shelter dog under certain situations). All new puppies should have their shots and be tested by vets and professionals before they can be sold. Puppies should never be taken away from their mothers before they reach the age of 8 weeks. They need this time to learn proper socialization skills and also have time for all of their checkups. Make sure to visit your vet within days of getting your new dog, they will be able to go over him and check his health. 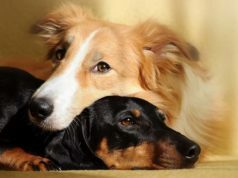 Previous articleWhat are the Best Probiotics For Dogs and Do Our Pets Need Them?